DO YOU WANT TO MAKE AN IMPACT? GO ON A MEDICAL MISSION TRIP! Have you wanted to put your nursing skills to work by providing health care to undeserved and vulnerable communities around the world, or to improve the health, wellness, and quality of life of those populations most in need? 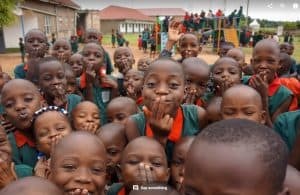 Well we at HireNurses.com have partnered with some medical mission trip organizations that promote the well-being of underdeveloped communities through a comprehensive continuum of services. As of today, we are proud to offer these mission trips. If this is something you’ve always wanted to do, then create your free private professional profile on HireNurses.com. Then search under “find jobs” Per Diem to unlock these opportunities. Please learn how we work for Nurses. Go to the home page and at the top of the page click on “How It Works” for Nurses/CNA/Students and learn how to set up your profile and see how your profile is view by employers. International Medical Relief – where they go: Latin America, Caribbean, Asia & Africa. Check out their Mini Mission trips on our job board. Please join us on our summer trip to the village of Mbiriizi in Uganda, Africa. Sylvia’s Children is a 501(c)3 non-profit organization located in Holmdel, NJ serving 2,000+ children (25% of whom are orphans) in Africa. We have a 6,000-sq. ft. clinic and we need your help serving the community. And, at the end of the trip you get to go on a three-day safari! Please check out our website www.sylviaschildren.org. November : Christmas Magic with Sylvia’s Children & She Invites You to Bring Christmas Magic to African Children! Sylvia’s Children will once again be embarking on this life-changing trip in June and November. Appox: $4,250 all inclusive (airfare to and from Newark, all airport transfers, hotel, food, guide, VISA, transportation the entire trip, three-day safari at Mweya Lodge in Queen Elizabeth State Park, fresh water every day … the works). The only extra money you need is for souvenirs. Applications are being accepted now. Create your free Nurse profile on HireNurses.com and apply directly to this medical mission trip. It is listed on our job board under the city, state and zip code: Holmdel, NJ 07733. The all-inclusive cost to join this unforgettable trip, which includes VISA, airfare, lodging, meals and ground transportation to and from the airport and beyond. The only extra money the travelers need is for their own personal shopping (such as a drum!). There is no charge for the unbelievable joy travelers will experience by sharing Christmas with these beautiful children. Information you need to know- after you have paid your monies to Sylvia’s Children. Yellow Fever , Twinrix~vaccine for hepatitis A & B , Rabies, Typhoid, Zostavax~shingles vaccine, Menomune~Meningitis vaccine. You will also have to get malaria pills. We have had the most success with Malarone, taken daily ~ there are other options, speak to your doctor. You will need a valid passport with more than a year left to expiration @ the time of travel. You will need a Visa to enter Uganda. You will need to send two passport photos, the visa application and your passport to Sylvia’s children and they will get it for you. This is included in the price of the mission trip. Sylvia’s Children will do it for you. Total price is in US dollars ~ that is all inclusive, the only cash you will need is for tips ($1/day for hotel and $5/day for driver) and souvenirs. Bottled water is provided all day, every day, you do not need to bring water. Tips will be $1/person/day for hotel and $5/person/day for the guides. Participants are invited to fundraiser to cover the cost of their trip. We will provide you with ideas for fundraising that past mission volunteers have used successfully. Healthy Villages, Inc. co-director Sara Corry will assist you with making airline reservations, obtaining your visa to Ghana, and other pre-travel arrangements. The cost of the mission covers all in-country expenses such as vehicle travel, accommodations, food and safe drinking water, setting up the mission, hiring Ghana Health Services staff and interpreters, cultural ambassadorship, and in general, making sure the mission goes well. We want you to enjoy yourself, while providing an invaluable service to some of the world’s poorest people. Our participant agreement outlines more of what you can expect while on a mission with Healthy Villages, Inc. Completing Healthy Villages, Inc. required paperwork and meeting deadlines will ensure that this mission is successful. We thank you in advance for your cooperation and professionalism!